It is the star kid’s era in Bollywood. After a successful reign of the celebrities in the industry, their off-springs are ready to take over. 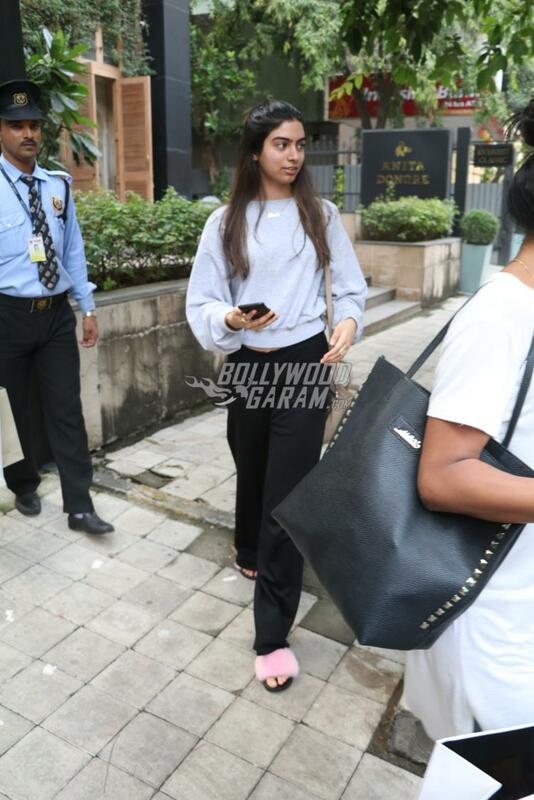 While Sridevi’s daughter, Jhanvi Kapoor is already on her way to her debut, sister Khushi Kapoor is also already popular on the social network. 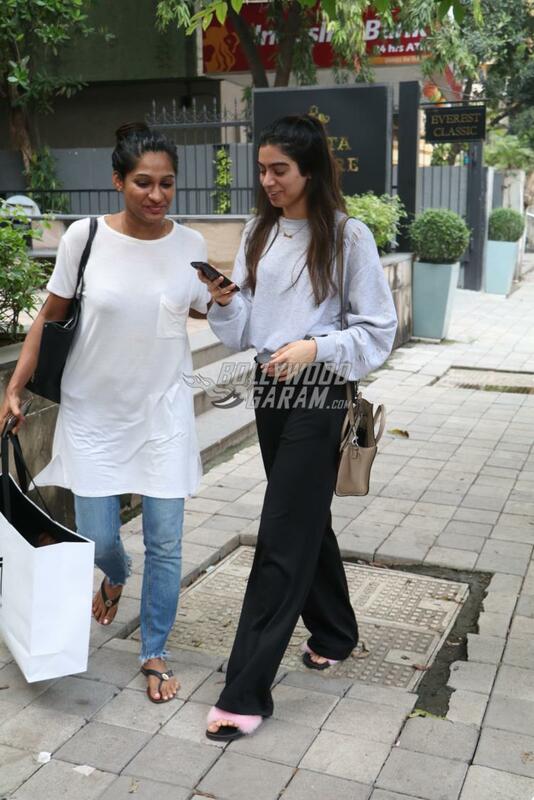 The younger sibling of Jhanvi was snapped shopping presumably for upcoming Diwali festival in Mumbai on October 16, 2017. 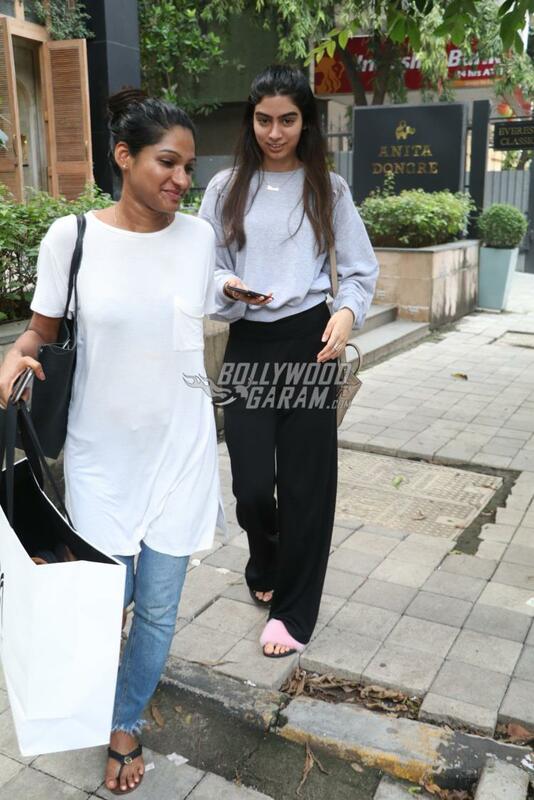 Khushi was snapped in a casual t-shirt and black wide legged pants and was amused when she was clicked by the cameras. 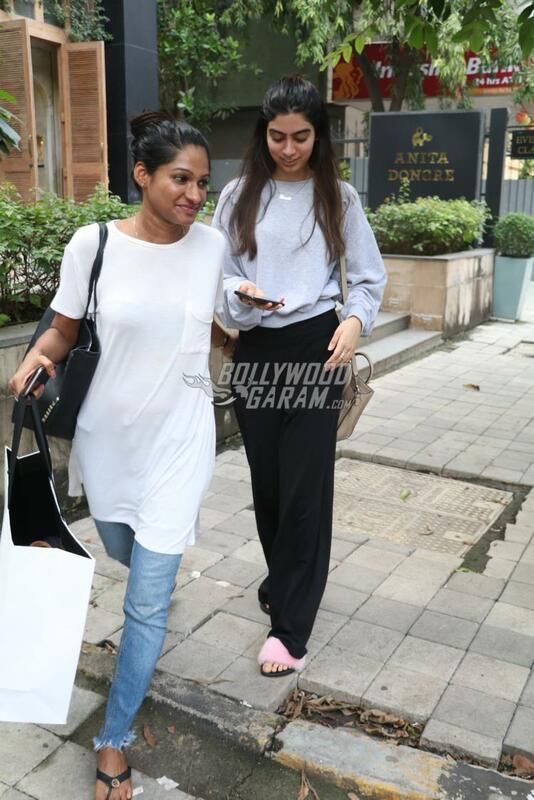 Sister Jhanvi Kapoor is currently preparing for her debut in Bollywood and is often snapped outside her dance rehearsal studio. 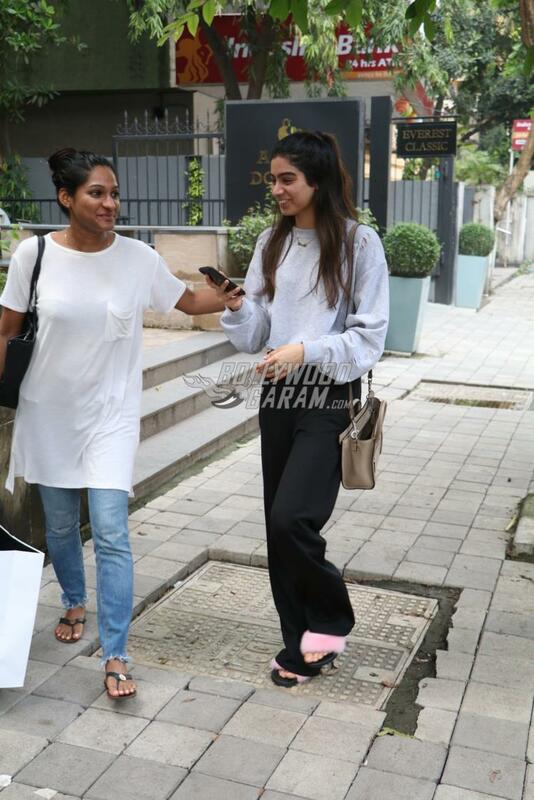 Khushi and Jhanvi are the daughters of veteran actress Sridevi and producer Boney Kapoor. Sridevi in an interview talked about Khushi and her plans about career and said, “Yes, Khushi says she wants to get into modelling. Pehle (first), she wanted to become a doctor. Phir (then) doctor se lawyer and now it’s modelling. So, I am waiting for the shock to happen”. On the work front, Sridevi was last seen in the film MOM, which was well received by the critics but could not score well at the box office. 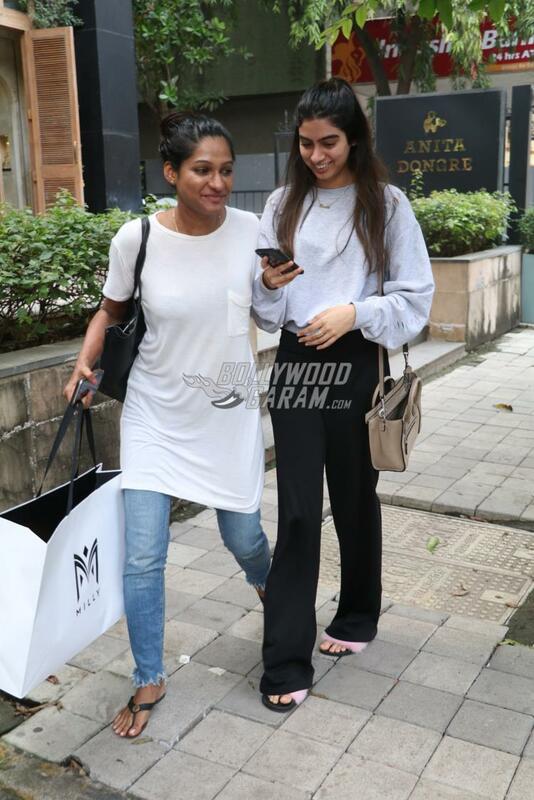 Exclusive photos of Khushi Kapoor busy shopping in Mumbai!